Shop online - our website offers secure credit card transactions. Your order will be shipped directly to you or to someone you choose. Would you like to request that Signature Collection be available at your next event? Contact our Head Office to inquire. We look forward to having you as a Signature Collection Hostess and rewarding you with all the generous Hostess benefits that our Program offers. Hosting a Home or Office Party is an enjoyable way to introduce Life Styles Signature Collection to your friends, family and co-workers, while earning yourself all the wonderful benefits our Hostess Program has to offer. Minimal preparation is required. Offering simple refreshments is recommended. Your guests will receive Party Only Incentives, be able to enjoy their purchases right away without waiting for deliveries and won’t be bored by lengthy presentations. We suggest an open House style where guests are invited to come anytime during a designated time to view the display in your very own home or office. 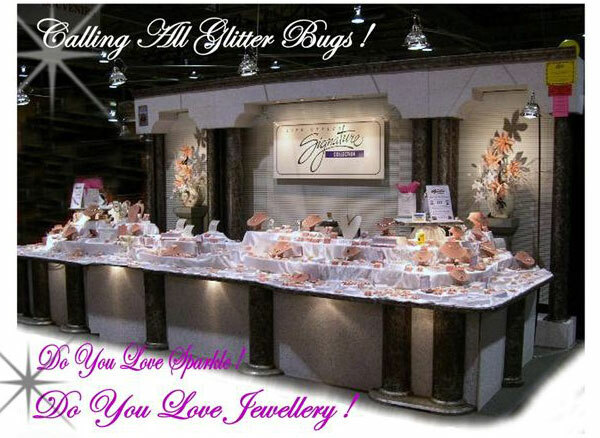 Are You a Glitter Bug? Take a moment to fill out our Request Us To Participate In Your Local Event form.